My friend… has said for decades that if she were running a Canadian newspaper, she would treat coverage of Aboriginals and Aboriginal issues as a foreign bureau, complete with foreign correspondent and travel budget. The reporter would be posted to, say, Regina for three years, with the mandate to write about this country’s reserves, isolated and not, about natives, rural and urban, and to move around the country with the same set of fresh eyes and wonder that often distinguishes the best work of a correspondent posted to Beijing or London or Washington. Only then… would the story of Canada’s natives get the hearing and attention it deserves; only then might it be properly and fully told. I don’t see eye-to-eye with everything reporter Christie Blatchford writes about “Canada’s natives” during her rare forays into First Nation communities, but how revealing it is to imagine a reporter on a national or regional Aboriginal beat as a foreign correspondent. Not only does it hint at the extra resources required to properly cover isolated Aboriginal communities, it helps us appreciate how many reporters feel like fish out of water when visiting them. Like foreign correspondents, who literally journey to new countries, reporters covering Indian Country may find themselves in places where the language, food, and customs aren’t what they’re used to (and sometimes, in a place that doesn’t have electricity, running water or – gasp! – cell phone coverage). It may feel like a different world. If you’re non-Aboriginal, you may feel like an adventurous explorer, or you may feel awkward because you are the minority and you stick out like a sore thumb. How revealing it is to imagine a reporter on a national or regional Aboriginal beat as a foreign correspondent. Oddly enough, journalists are trained to ask questions, but sometimes, cultural differences make us nervous to ask the most important ones. The thing is, unlike tourists, reporters have the responsibility of finding the “truth” about this place — and relating it to the rest of the world. That’s why it’s important to acknowledge all journalists have biases, and we bring them to work everyday. They show up in our story choices, how we frame those stories, and decisions we make about what words, pictures and video to include. In this section, I’ll explain some common Aboriginal customs, and offer tips on how to navigate them. Just as a foreign correspondent relies on a “fixer” to help translate local language and customs, your travels in Indian Country will run more smoothly if you have a trusted adviser who can explain why that old guy expects payment for the use of his ski-doo, or what to do when you’re invited to a feast. After all, the Lone Ranger didn’t go far without his faithful Indian guide. [If you’re looking for extracurricular reading on cross-cultural matters, I found “Working Effectively with Aboriginal Peoples,” by Robert and Cynthia Joseph quite helpful. It offers common sense approaches to working in Aboriginal communities in a corporate setting: http://www.ictinc.ca. 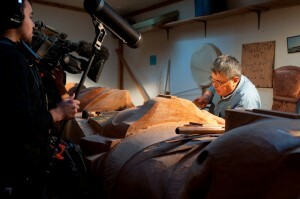 As a reporter in Indian Country, it won’t be long before you come across spiritual ceremonies. From sweat lodges to sun dances, memorial feasts to spirit dancing, different First Nations have different ceremonies – and they’re an important contemporary connection to ancient cultural traditions. To Aboriginal peoples, ceremony is about community; ceremony is a way to acknowledge the interconnectedness of everything; ceremony is how values and beliefs are taught and reinforced. Some ceremonies are sacred and private. But sometimes, at Aboriginal gatherings, everyone present is asked to participate in a cultural ceremony, a prayer, a dance or a feast. For reporters who see themselves as objective observers of events, it can be unnerving to join a ceremony for the first time. If it makes you feel uncomfortable, ask your host to explain the process. If all else fails, follow the lead of the person in front of you. It’s imperative to remain non-judgmental throughout the process. The idea behind a smudge, for example, is to wipe away negative thoughts, tension and anxiety. If participating in the ceremony contradicts your own cultural or religious beliefs, just politely explain that. Aboriginal ceremonies are always intriguing to visitors, sometimes colourful, perhaps even mystical. But, how important is this ceremony to your story? How important is this ceremony to your story? Does the ceremony fit an image you or your audience has of “Indians” as mysterious or exotic? Maybe it is critical — if it tells us something about the motivations of a character. If it doesn’t, ask yourself why you’re trying to record it. Does the ceremony fit an image you or your audience has of “Indians” as mysterious or exotic? When you request permission to film or photograph a ceremony, be prepared for differing opinions. Aboriginal religions and protocols are based on oral custom; there is no official handbook. Different people may give you different answers. For example, smudging is a common ceremonial act you may encounter (using the smoke of sweetgrass, tobacco, cedar or sage to cleanse the mind, body, heart and spirit). 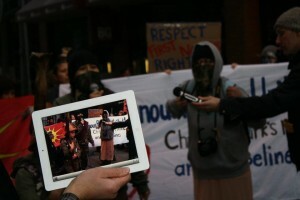 While some Aboriginal people don’t object to a smudge being photographed or filmed, some will. Who do you ask? In some Aboriginal communities, you may be introduced to an elder’s helper, or a person appointed to speak on behalf of a ceremonial leader. Or you may be directed to the person leading the ceremony. If not, you should try to locate that person — not everyone who is attending has the authority to grant you permission to film or photograph, no matter their stature in the community. If, after asking politely, you’re told “No. This ceremony is off-limits to cameras,” consider whether there’s an alternative to explaining this moment with photos or video. For example, if you’re a TV reporter, can you discuss a ceremony you’re forbidden to film in a live-hit, the same way a radio reporter might? Try explaining to your hosts WHY the ceremony is important to your story, and how you intend to present it in your report (will it be sound only? if its video, will it be edited? if it’s a photo, what sort of caption will run underneath?) Perhaps only a small part of the ceremony cannot be described or filmed — and you can use other parts. Once your subjects have a better understanding of why it is important to you to describe or film this ceremony, you may be able to find common ground. If you agree not to film certain portions of a ceremony, camera operators should turn their cameras off, AND point it toward the ground, or in another direction, so participants are clear the camera isn’t rolling. If you’re asked NOT to record a ceremony, it’s unwise to ignore that request. If you’re asked NOT to record a ceremony, it’s unwise to ignore that request. 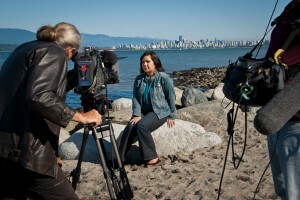 If you really feel you must proceed and film surreptitiously, be aware that you may jeopardize your story, or future stories about that First Nation, by you or anyone else in your newsroom. You may also hurt relationships with other First Nations, who hear about your transgression, or recognize you’ve exposed something that shouldn’t have been made public. The Lakota leader Crazy Horse is one of the most famous Indians in history, but there are no pictures of him. As legend has it, he refused to be photographed, because he believed the camera would steal his soul. The “Crazy Horse School of Photography” still has some subscribers, those who refuse to allow cameras because they believe a photograph literally captures an element of the life force of its subject. Certainly, many people — not just Aboriginal people — find cameras intrusive. But, historically, many Aboriginal people didn’t object to pictures, and eagerly posed for cameras. These days, cameras are ubiquitous — cell phones, digital cameras, and flipcams — and most Aboriginal people are as fond of taking pictures as the next person. Lots of Aboriginal people like to see themselves on TV or in the newspaper. At powwows or other public celebrations, if you ask politely, most Aboriginal participants will usually cooperate — unless there are cultural or spiritual reasons for not doing so. 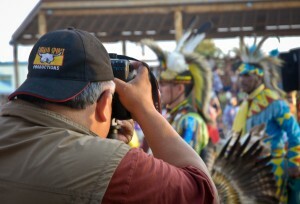 Actually, a growing number of Aboriginal cultural leaders recognize that a camera (and the person operating it) can be an important witness to cultural events. Capturing images of people and events “for the record” (and portraying them with dignity) is becoming an increasingly important tool for education, healing, and growth. Media organizations often forbid reporters from paying a source for their participation in a story, theory being that payment may potentially taint the truth. But, in some Aboriginal cultures, it is considered appropriate to offer a storyteller a gift, as a sign of respect. A gift is a way to acknowledge the willingness of the storyteller to share his or her time and knowledge, and to recognize that knowledge has value. Ask your Aboriginal host whether a gift for an interview subject is appropriate, and if so, what type. Should a reporter walk into a community bearing gifts, and if so, what kind? The easy answer: ask your Aboriginal host whether a gift for an interview subject is appropriate, and if so, what type. The gift certainly need not be lavish. Amongst many First Nations, tobacco is a common gift for an elder, as its considered sacred medicine. Traditionally, the gift would be tobacco leaves; today, it’s acceptable to give a pouch of commercial rolling tobacco. A package of cigarettes will also do in a pinch, but generally, the tobacco is burned in ceremony (not smoked). If you’re uncomfortable presenting tobacco, any small token will do – a homemade jar of canned peaches, a tin of Tim Horton’s coffee. If the person drives a car, offer to contribute gas money. You may also want to offer an interview subject an honourarium, but be aware, if you work for a large media organization, this can get complicated (as you may need to provide the person’s Social Insurance Number, mailing address, etc). Sharing and generosity is an integral part of Aboriginal culture. Visitors (journalists included) are often offered small gifts and keepsakes, or invited to eat when visiting an Aboriginal person’s home. Try to accept such gifts – rarely would they be offered with the intention of bribing you. Ethics policies in some newsrooms put a dollar limit on gifts that can be accepted ($25 is common), and most gifts you’ll be offered will fall below that line. However, you may find it helpful to discuss these boundaries in your newsroom (one approach: return the favour, by sharing pens and baseball caps and buttons emblazoned with your news brand – however, this may also be tacky). If you’re offered cash in a potlatch or a giveaway, accept it and use the money to buy gifts for people in the community. What goes for gifts goes doubly for a host’s offers of food and beverage. If someone pours you a cup of tea, take the time to drink it. Avoid rejecting reasonable offers of food, whether or not they seem delicious to you (moose nose, for example — don’t knock it until you’ve tried it) — unless you have a health reason (it’s lonely being a vegetarian in Indian Country). Death is often a journalist’s bread-and-butter. Some First Nations cultures forbid showing pictures of the deceased for at least year after the death. Get your hands on the home video of the father of two who died in the car crash, dig up the high school yearbook photo of the boy shot in a drive-by gang slaying, find a Facebook shot of the toddler smothered by her foster parents. Letting our audience visualize a dead person’s life helps them appreciate the gravity of the situation and empathize with larger public policy issues — so the thinking goes. It’s uncomfortable work, no matter what culture or community you’re in, and you’ve likely developed your own approach for broaching such a difficult subject with grieving friends and family. But, be aware that Aboriginal cultures have their own customs for dealing with death. Some First Nations cultures forbid showing pictures of the deceased for at least year after the death. Other cultures find it extremely disrespectful to show ANY images of a deceased person, or even mention their names. This custom, of “putting away” the name and image of the deceased, can be extremely problematic for a journalist whose objective is the opposite: to put a human face on a tragedy. What do you do, when an Aboriginal community has cultural objections to you using images? We will take care to respect and acknowledge ceremonial conduct and customs of a Nation. Certain ceremonies should not be named or shown for broadcast… In respect for certain Inuit culture, when a person dies every effort will be made not to say the name of the person or show their image in a news story or program for at least one year. Mainstream news reporters may balk at such restrictions, but our newsrooms regularly make editorial decisions based on cultural considerations. Many media outlets restrict reports about suicide, in part because the details are often unpleasant, but also for fear of triggering more suicides. Similarly, Canadian broadcasters hesitate to show graphic and brutal images of war, such as body parts, out of concern of upsetting audiences. These are matters of journalistic policy and ethics, based upon assumptions about cultural mores of our audience. Aboriginal traditions relating to death may not follow mainstream Canadian practice, but why can’t they be respected? In Australia, government, broadcasters and filmmakers have all taken steps to sensitize reporters and producers on cultural protocols relating to coverage of deaths of Aboriginal people. In Australia, government, broadcasters and filmmakers have all taken steps to sensitize reporters and producers on cultural protocols relating to coverage of deaths of Aboriginal people. Amongst Aboriginal societies, grieving traditions strictly prohibit the use of the name of a deceased person (customs vary from region to region, but amongst some groups, this may last for as long as 15 years). Ignoring protocols can cause can cause immense grief and sorrow for the bereaved family. When a well-known individual passes away, the local community or media group may issue instructions on how the name, voice or images of this person can be used. If names or images are to be used, written permission should be obtained from the person’s family and/or community. When contacting the community, care should be taken to avoid using the person’s name. The context in which the request is made should make it clear who is being referred to. If permission is granted, it is usually restricted to the particular media outlet that applied for it — it does not mean that other media agencies can publish the name or image without seeking permission. Perhaps, these are complicated matters for Canadian media to wrestle with. Who owns archival images? How do you report a death without mentioning the name of deceased? What if your competitor makes a different decision? But, tackling these issues, whether on a case-by-case basis or by developing a Code of Conduct, is key to showing respect and reciprocity to Aboriginal cultural traditions. Eye contact is considered a basic component of social interaction in Canada. “Look me in the eye,” we tell our children. “Make eye contact,” we advise students learning to speak in public. Typically, in social situations, Canadians make eye contact when first beginning to speak, then look away, then, periodically, return to the eyes of the person with whom we’re talking (the average duration of eye contact amongst North Americans is about three seconds). Someone who won’t make eye contact may be considered shy, rude, bored, or untrustworthy. But staring directly into someone’s eyes is NOT the cultural norm amongst some Aboriginal groups. If you find that an Aboriginal person isn’t looking at you, it may be related to cultural teachings, gender roles, or the after-effects of imbalanced relationships with authority figures at residential schools. Be aware of your own biases when interpreting facial cues. 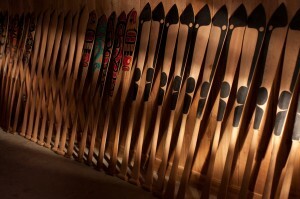 Cross-cultural training manuals advise non-Aboriginal judges, for example, to be cautious about interpreting an Aboriginal defendant’s unwillingness to make eye contact as an admission of guilt. This can be especially challenging for a reporter during an interview. There’s no easy answer, whether to make eye contact or not, and for how long. Pay attention to your interviewee’s face, and do your best to use facial behaviour that makes them feel comfortable. Elders are treated with immense respect in Aboriginal communities. Elders aren’t just old people. They are considered repositories of history and cultural teachings, and they’re often looked to for guidance and wisdom. Reporters should take great pains to avoid annoying elders. An elder’s blessing can make a reporter’s visit to a community run smoothly; an elder’s disapproval can signal the demise of a story. Still, the realities of our business often conflict with expectations of how an elder should be treated, especially when it comes to interviewing protocol and clips. When speaking in public at gatherings in Aboriginal communities, elders will often be given as much time as they need to speak. Similarly, when in private discussion with an elder, it’s considered rude to interrupt them. Don’t ask an elder for their opinion, if you’re on deadline, and don’t have time to listen to it respectfully. 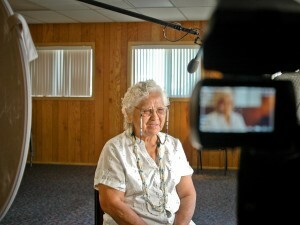 Interviewing elders can be a frustrating and puzzling experience. Traditional Aboriginal storytelling is elliptical and sometimes, it’s difficult to pry specific information out of an elder. “How do you feel about XYZ?” may result in a half-hour tale about a childhood experience. If you’re only looking for a 10-second clip, or a short quote, explain the conventions of your medium – at least that person is forewarned that you plan to reduce their teachings to a sound-byte. Don’t ask an elder for their opinion, if you’re on deadline, and don’t have time to listen to it respectfully. Finally, Aboriginal elders are busy folks. Far from relaxing in their golden years, a community’s oldest and most respected elders are often in high demand, with a steady schedule of ceremonial functions to attend and requests to share traditional knowledge. “Consultation burnout” is not uncommon in Aboriginal communities, particularly amongst elders. If you’ve requested the involvement of an elder in your story, be prepared to offer a gift that acknowledges that person’s time and commitment to your project. When it comes to interacting and interviewing Aboriginal people, should a journalist expect different behavior and responses than when dealing with non-Aboriginal people? Yes, according to Dr. Clare Brant. Brant was a psychiatrist from the Mohawk community of Tyendinaga. He published a slim article in a journal of psychiatry two decades ago, entitled “Native Ethics and Rules of Behaviour,” in which he advocated for a more culturally-appropriate approach to diagnosing and treating Aboriginal mental health patients. The article remains widely quoted in psychiatry, anthropology and sociology circles, in Canada and internationally. Brant didn’t pretend behaviour he described applied universally to all Aboriginal peoples. He recognized Aboriginal people grow up with a variety of cultural influences, and there are likely variations amongst different tribes. No question, there are dangers in generalizing about the psychology of any group of peoples. For every Aboriginal person (such as myself) who finds truths in Brant’s analysis, there will be another who feels his or her community acts in an opposite manner. Still, I hope my summary of the ethics set out by Brant serves as a useful starting point for journalists attempting to interpret the behavior of the Aboriginal people they meet and observe. The Ethic of Non-Interference The ethic of non-interference, says Brant, “is the principle that one Indian will never tell another Indian what to do.” Brant believed non-interference is an ethic based in pre-contact tribal society, which relied upon voluntary cooperation for the achievement of group goals. These days, the ethic of non-interference boils down to this: It’s considered rude behaviour to give instructions or orders, to an Aboriginal person (or, for that matter, to pass any sort of judgment at all). 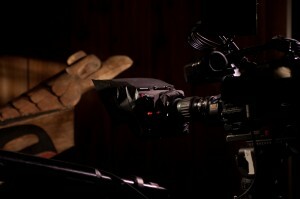 Journalists may encounter such behaviour when an Aboriginal person expresses reluctance to go on the record to criticize another member of the community. The journalist may consider it necessary to get such a clip in order to build tension or conflict in a story, but to keep pushing for that on-the-record critique may be an exercise in frustration. The ethic of non-interference may also come into play if a journalist is trying to advise or persuade an Aboriginal person about what to do (for example, a cameraman telling a grandmother to walk up to the gravestone and put some flowers down, then repeat the action again). Aboriginal people may consider such instructions or orders rude. Conversely, an Aboriginal person may be well aware that a journalist is doing something incorrectly (stepping haphazardly into a boat, for example, or interviewing the wrong person), but won’t say anything, lest it be considered bad-mannered. Anger Must Not Be Shown Brant suggests the notion that anger must not be shown — that is, anger must be suppressed — has its roots in Aboriginal beliefs about the role of shamans and witches, who one dare not offend or insult, for fear of having their powers directed at you. In Aboriginal societies, Brant argued, “angry behavior is not merely unworthy and unwise, angry feelings are sinful.”These days, many Aboriginal people have lots to be angry about, and Brant observed that suppressed anger gives rise to repressed hostility and explosiveness under the influence of alcohol. He also noted that repressed hostility leads to a high incidence of grief reactions (Brant cites statistics suggesting incidents of depression are twice as high amongst Aboriginal populations as they are amongst white populations). Journalists may encounter repressed anger from an Aboriginal person, when seeking a reaction to an emotional event. Simply put, an Aboriginal person who has experienced a tragic or sorrowful event may be reluctant to respond with anger or grief in public. If they do wind up expressing emotions, they may display an extreme response. While an outburst of tears or an extremely angry reaction may look great on TV, a journalist should be aware that an Aboriginal person may be embarrassed afterwards. That journalist may find herself the object of hostility, if she’s perceived as being the one who provoked the reaction. show hospitality to other groups of hunters, even when there was not much food in the village. “To take more than one’s fair share or more than what one actually needs to survive is considered greedy and wasteful,” says Brant. This custom of sharing manifests itself in the principle of equality. “Every Indian is just as good as everybody else,” says Brant. Sharing and equality may be at play when a journalist, seeking to simplify a story by reducing it to key characters, gets push back from the people he’s interviewing. “You should interview so-and-so, and so-and-so, and so-and-so…” An Aboriginal person may be reluctant to be the main character or the focus of a news story, if it’s perceived that such a portrait will elevate one person in a community over others. The Conservation/Withdrawal Reaction When white people are placed in an anxiety-provoking situation, Brant observed, they are taught to react with a great deal of activity: they talk your head off. But, according to Brant, Aboriginal people have a completely different reaction: “an Indian will become less talkative, the more anxious he gets.”He describes scenarios (such as a party or a psychiatric interview) where an Aboriginal person who does not understand the rules or what behavior is expected of him will simply slow down, becoming nearly catatonic, as if going into hibernation. “The more quiet the Indian becomes, the more frantic the white person becomes trying to get some sort of response out of him.”For most people, an interaction with a journalist is uncommon, so it’s not surprising that it may provoke anxiety. If you’re interviewing an Aboriginal person, you may find your subject is nervous and clams up, rather than sharing information.If you want a productive interview, ensure the interviewee understands your expectations. Find a bit of time before the interview to establish rapport. Answer any questions the interviewee may have, about the subject matter you intend to cover, and how you plan to present his or her answers in your story. Hopefully, that makes everyone more comfortable, and more open to dialogue.